Jeremy is a partner in the Firm's Commercial Litigation Practice Group. 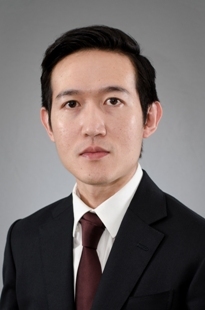 He has advised and acted for major local and overseas institutional clients in various disputes including joint venture, banking, fraud and employment matters. Acting for a public listed company and its associated companies in a dispute concerning a joint venture project in Indonesia. Acted for associated companies in a joint venture dispute concerning certain contracts for the provision of services in the Kazakhstan oil and gas industry. Acted for a Finnish company to defend claims by an Indonesian company in arbitration proceedings brought in the Singapore International Arbitration Centre. Acting for a major international bank to defend private banking claims by groups of investors relating to the Madoff scandal. Advised a securities and brokerage firm to defend numerous investor claims following the October 2008 financial meltdown. Acting for and advising an international group of companies on investigations and claims relating to employee fraud. Acted for two individuals to defend claims by associated companies operating in the Kazakhstan oil and gas industry for inter alia breach of employment and fiduciary duties. Acted for associated companies in cross-claims against a former high-ranking employee, including breach of employment duties, relating to the company’s operations in Indonesia. Advised two major companies in the aviation industry relating to product liability claims filed against them in the US. Acted for a member of a society in a claim for, amongst others, breach of natural justice. Acted for members of a society in arbitration proceedings against the latter in a claim concerning certain alleged breaches of the society’s constitution. Acted for proprietors of a condominium before the Singapore Court of Appeal (“CA”) to determine a novel point of law regarding the CA’s power to re-open its previous decision.